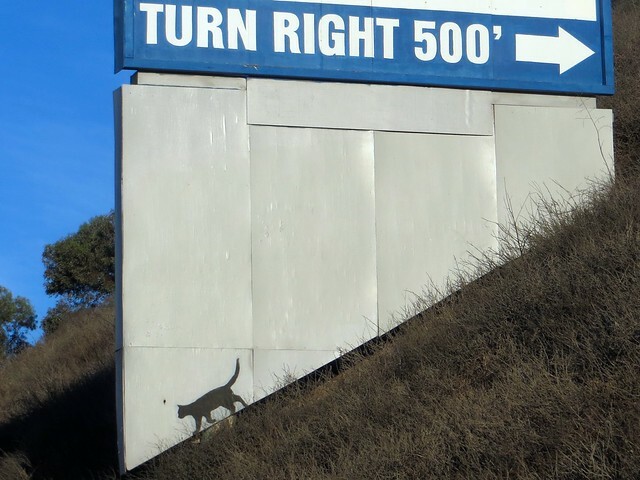 I'm very sad to report that this kitty has been painted over. There used to be five of them around town. We're down to one, which I'd better hurry up and photograph before the We Love Beige Paint committee has the final say.